I was a happy man when I passed my USMLE Step 3 exam. All doctors in US have to pass the USMLE Step 3 exam which deals with how you ‘Treat’ the patient. It is not just the medical diagnosis and treatment, it is the whole process of management that starts as soon as you enter the room. Doctors get graded heavily on their behavior towards the patient. With changing healthcare and pressure of documenting everything, doctors are finding it really hard to keep that connection going. 15 minutes for a patient’s visit is not enough most of the times. If you increase the times, the ‘bottom-line revenue gets hurt. It has come to the point where doctors are taking their work home,making it hard for them to enjoy family time. That is why, medicine is no more one of the top demanded profession. Despite all the hassles and pains, doctors in US continue to treat their patients in the best way they can. What is patient’s need? That somebody listens to them and help them. When listening, analyzing and actions become time-bound, the connection gets lost somewhere leaving both the parties unsatisfied most of the times. We are not paying much ‘Attention’. The doctor-patient relationship is central to the practice of healthcare and is essential for the delivery of high-quality health care in the diagnosis and treatment of disease. 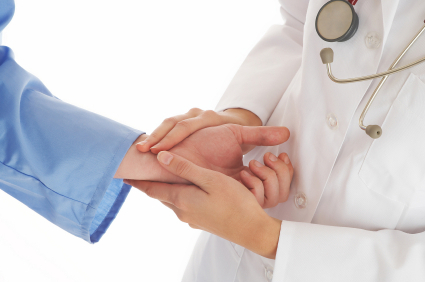 The doctor-patient relationship forms one of the foundations of contemporary medical ethics. There are very few physician practices who are actively involved in patient satisfaction surveys to know exactly where they are in terms of their services. This loss of connection is nobody’s fault. It is the fault of the system that we as a society have designed. Health is no more a personal issue. It has become ‘E-Health’ (electronic health). Now you go for a doctor’s visit, what you hear is clicking(mouse and keyboard). We have lost the personal touch. Is there a way to revive back the relationship and improve quality on top? Yes. The emerging concept of Patient Centered Medical Home(PCMH) takes away that burden off from the physicians and satisfies the patients. It is a multi-disciplinary integrative approach towards patient. It does not just deals with the current problems, but helps manage overall wellness. It ensures that patients get the attention required to manage their issues. PCMH aims to collaborate the various divisions of healthcare on a single platform to give a ‘One Stop Shop’ for health and wellness. AHA, HITECH,ACO and all other reforms added recently, have led Healthcare institutions to come up with processes to reduce waste, improve quality and deliver best possible care. The Healthcare IT industry is the busiest industry in current times. New softwares and techniques are being launched on a daily basis to make the current systems efficient. From a doctor’s perspective, I would appeal to all the patients that the behavior of doctors towards health is not by personal choice. The changes in Healthcare are coming too fast and sometimes it is hard to keep holding the ground for the healthcare providers. I am not sure how long this may take. But one thing is for sure, E-health can never overpower the strength of ‘Physician-Patient Relationship’.